Saturday Supplement – Things I’m Really Into ATM! The sun is in the sky, the beer is chilled and it’s officially my favorite time of year – Irish summertime! With that in mind I’ve compiled a list of five things that I’m really into right now and my summer travel plans to Denmark, Menorca and possibly Lisbon! 1. Eat Natural Chocolate Protein Bars. These bars. Oh. My. Goodness. They are devine, utterly devine and chocolately and full of protein! So it’s like eating a bar of your favorite chocolate but without the guilt of actually eating it. Though to be far I don’t feel guilty when I eat chocolate! I first discovered these last year when I was travelling through Belgium and needed a quick pick me up. At first bite I was in love and have been eating them ever since. On travels, to conferences or as a post-gym pick-me-up I always have one with me. 2. La Roche-Posee Factor 50 suncream. Believe it or not it has been really hot in Ireland. Like really hot! So I’ve been relying on La Roche Posee Factor 50 (and sometimes there SPF30) for my face, neck and basically every other part of my body exposed to the sun. I have a Morticia Adams pale-glow and I wish it to stay that way. Though I do love sitting out in the sun! I am very pale and burn quite easily. Especially on my scalp and face! Hence why I wear a hat of some sort throughout the summer either here in Ireland or abroad on the continent. I find my boater hat is cool, easily traveled and goes with with the majority of my vintage inspired outfits. 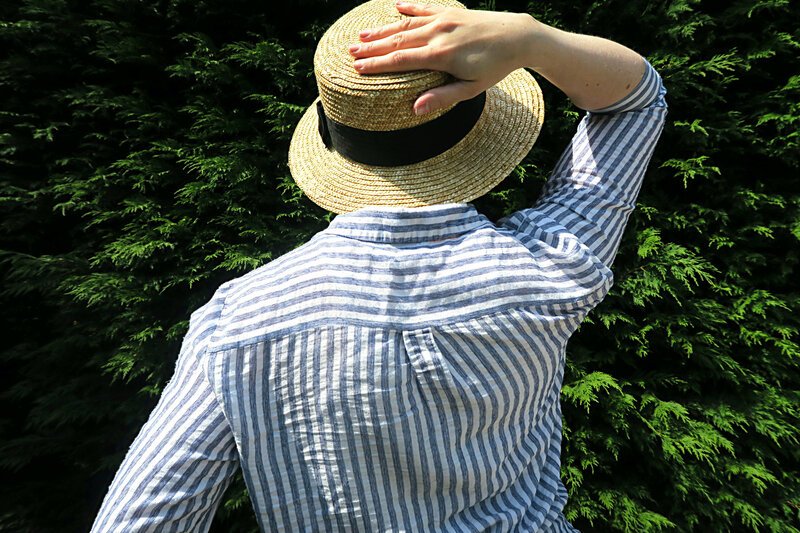 The great thing with a boater hat is that you can pack it into your suitcase and pack things around it and it still maintains its shape. Also I like to pretend that I’m a posh Edwardian lady wearing her boater hat whilst punting in Cambridge! 4. The Memory Palace Podcast. I love history and it’s pretty self evident from my blog, Instagram page and YouTube channel. As I seem to travel mainly by air (though don’t get me wrong I do love a good train journey (preferably steam) and I love boats!) I need something to read or to listen to if I’m going to be traveling long or short distances. To get my history fix I’ve been listening to ‘The Memory Palace’ hosted by Nate Dimeo who has a lovely, soothing American accent. Nice accent and history, what’s not to love!? I recently made a YouTube video of how to pack for an overnight stay or weekend away taking minimal possessions and using a packback to transport everything. I have several trusty backpacks (including the one above) I use as handluggage, as a handbag or on a roadtrip. New Look (not sponsored) have loads of different types of backpacks for whatever occasion. I just happened to fancy the look of the electric blue one above as it’s one of my favorite colours! Previous Post Krakow, Poland – Day Two. 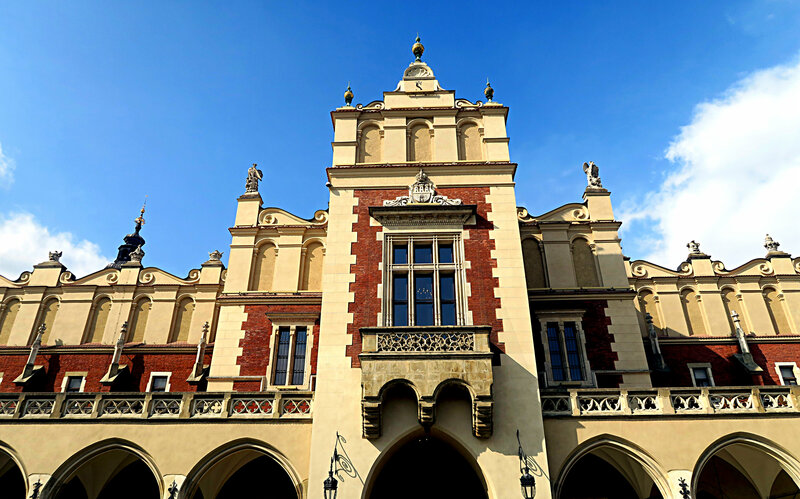 Next Post Salt Mines & Castles – Krakow, Poland Days 3 & 4.